Western blot analysis is widely used for detecting protein expression, analysis of protein–protein interactions, and searching for new biomarkers. Also, it is a diagnostic tool used for detection of human diseases and microorganism infections. 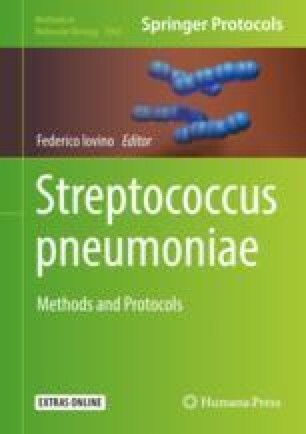 Some Streptococcus pneumoniae proteins are important virulence factors and a few of them are diagnostic markers. Here, we describe the detection of two pneumococcal proteins, pneumolysin and PpmA, in human urine by using monoclonal and polyclonal antibodies. The authors acknowledge Dr. Federico Iovino from Karolinska Institute for inviting us to write this chapter and for reviewing the manuscript, and Dr. Fermín Torrano for his constant support in the preparation of this chapter.